Most of the recipes at the Friendship Bread Kitchen use the traditional Amish Friendship Bread Starter, but a few of our avid bakers prefer this Potato Flake Starter variation. Use it to make this soft, fluffy sourdough Potato Flake Bread. This starter recipe is dairy-free. And yes, I made a video to show you how to make your own. We’ve found that most recipes on the website work with either types of starters, but when making the Potato Flake Bread you’ll want to make sure your Amish Friendship Bread starter has been fed that day or within 8-12 hours. This Potato Flake Starter behaves differently from the traditional Amish Friendship Bread starter and follows the feeding and storage process below. The recipe is simple enough: in a small bowl, mix 1 package of active dry yeast (about 2¼ teaspoons), 3 tablespoons potato flakes, ½ cup sugar and 1 cup warm water. Cover loosely and let it ferment at room temperature for two days. When you’re ready to feed your Potato Flake Starter, add 3 tablespoons potato flakes, ½ cup sugar, and 1 cup warm water to your starter and mix well. Leave on your counter for overnight or up to 12 hours. Refrigerate for 5 days before making the bread. The Potato Flake Starter was most bubbly when I first made it, but there was definitely activity with subsequent feedings. It never got as active as the original Amish Friendship Bread Starter, which would spill over the edge of the mixing bowl (or bust open a Ziploc bag!) on warm days. The timing is also different from our classic starter, and it’s stored in the fridge most of the time, so you’ll want to pay careful attention. This Potato Flake Amish Friendship Bread sourdough starter uses mashed potato flakes and is dairy free. In a small bowl, combine 3 tablespoons instant potato flakes, ½ cup sugar, 1 cup warm water and yeast. Cover loosely and let sit on the counter for 2 days, stirring daily. After two days, add 3 tablespoons instant potato flakes, ½ cup sugar, and 1 cup warm water to the starter. Mix well. Cover loosely and leave on counter for 8 hours. Refrigerate for 5 days. Stir well and remove 1 cup of the starter to bake with. Give away or discard all but 1 cup of the remaining starter. Feed the starter. Cover loosely and leave on counter for 8 hours. Refrigerate for 5 days then repeat the above step. Use this starter with Potato Flake Sourdough Bread or Strawberry Upside Down Amish Friendship Bread Cake. 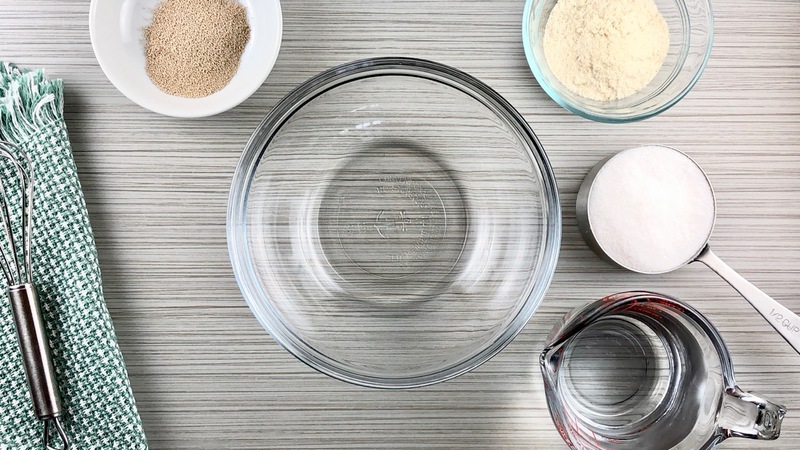 Be sure to spoon your flour into your dry measuring cut and level it off when measuring. I used to just scoop the flour, for many years. Now I do it that way and my breads are much better. Thank you very much. Been looking for recipe with less sugar. Someone shared a starter with me and I made bread last weekend and it was good. Making another batch today but noticed after feeding the starter and letting it sit, and then taking out the 1 cup for baking, there was more leftover starter than there was last week. Will it increase each time or did I do something wrong? You didn’t do anything wrong, it sometimes grows. Just be sure you always have one cup starter in your jar. I have become intolerant to gluten and other foods swell and I am trying to find ways to prepare foods so that I can eat. I have read that sourdough bread process breaks down the gluten and can then be digested more easily. Can the potato flake starter be used in the other recipes that call for the traditional starter? Hi Terry! We haven’t substituted this with every recipe in our Recipe Box, but it seems to swap pretty well. The key is to use it on the day it’s meant to be used, as the Amish Friendship Bread starter and the Potato Flake starter have different timelines. You’ll want to use either on the day or within 24 hours of it being fed. I make cinnamon rolls with mine and it is perfect for this. Do you have a recipe for the cinnamon rolls? I have a potato starter that I have been using for about 4 weeks now. I have noticed that after I feed it and let it sit out, that it is nearing the top of my jar. Can I half it into two jars next week and feed both jars? Yes! I made bread in a local restaurant, and I built up my production volume by splitting the batches. I had 5 different batches of 1 gallon each so I could make enough loaves daily to keep up with the demand! Could you just feed the starter without taking a cup out when you get your original split up enough times? I have the same starter from my grandmother that she’s had for 30 years, so it’s very alive. Yes! You just want to remember to discard all but one cup every time you feed it, to keep the yeast in balance with the sugars in the starter. Maintaining the ratios are important for a healthy starter. You need to discard all but 1 cup every time you bake, Sarah, and then build up the starter again and repeat the process. If you think you want to bake with more than 1 cup (to make 2 different recipes), just scoop out 2 cups, leave 1 cup in the jar, and discard the rest. Hope this helps! My dough is not really rising. What have I done wrong? Hi Davie — Did you start the starter from scratch? Did it bubble up the first time when you added the yeast? Is your kitchen warm or is it cool/drafty? Let me know and I’ll try to help you troubleshoot. My starter is not bubbly at all even after feeding and sitting overnight. It separates into mostly liquid on top and potato flakes (like very runny mashed potatoes) on the bottom. I keep it in the fridge, bring to room temp and feed at least once a week. After feeding I let it sit overnight and then remove 1 cup for baking and returning 1 cup to fridge. The dough rises but not as much as I remember it doing in the past. Am I doing something wrong? The bread is good so should I even care?. Like yours, my starter is not bubbling. It bubbled when I started it with the yeast but on the next feeding without yeast, just the potato flakes sugar and water, no bubbles. Should I start over? I will make bread in 3 days, I stir it every day and keep it in the fridge. I’ve noticed with my starter that it’s more active, bubbly, since I stopped using tap water. I use distilled water in both the feeding and bread recipe. I also stir up the starter everytime before I pour off the cup to help lessen the amount of sediment of potato flakes in the jar. I also feed my starter with only 3-4 tbsp sugar instead of the 1/2 cup sugar. My mom feeds her starter with 2/3 cup sugar. All the difference I’ve noticed is that my starter seems to get bubbly in a shorter amount of time than hers (she uses tap water). I’ve used my starter to make gluten free bread with success. Seriously, gluten free? I would love to be able to make bread with this starter and the C4C gluten free flour. My grandson and son -in-law have Celiac’s disease so it must be gluten free. Has anyone else had this to deal with? The starter is gluten free and if you want to make gluten-free bread, you would just need to swap the AP flour with a GF flour. Good luck! Hello! This is my first time attempting bread making. 😳 I have started my starter working from my granny’s potato flake sourdough recipe. I didn’t realize that when I feed the starter, I was supposed to remove a cup of it first. Her starter called for 2 1/2 cups of water in the beginning and then a cup of water in the feed. So I now have 3 1/2 cups of starter. I’ve only fed once. Have I ruined it already? Should I start over or would it be okay to proceed but with culling starter down to 1 cup at next feeding? I truly appreciate any guidance! My starter goes “flat” and is less bubby after I bake bread with it. Should I be adding more yeast when I feed it post-baking? Can this be made in a ziplock bag? If so, do you fully seal the bag or leave it cracked for air flow? Hi, I had a sourdough starter since before the 90’s and recently I went away on vacation and I think my friend let the starter die. 🙁 I tried to use yeast to make it and it seemed to bubble the first time I fed it but now it isn’t bubbling anymore. Should I start over and do you have the recipe? Is there a way to savage my starter that has been apart of my life for many years! Its that time of the year that I usually make 100+ loaves….Thanks for any information. Hi Shelia! It can be difficult to tell if your starter is being “quiet” or if it actually needs to be thrown away. The bubbles are often a sign of an active starter but not the only one. Color is another sign of the health of your starter. Healthy starters will be a nice creamy color, while bad starter will take on more of a grey-brown. Also check to see how it smells. If you’ve had this starter for years, you’ll know that healthy starter smell. If your starter has gone bad, it will often take on the smell of acetone. If you’re still not sure, check out our Tutorial, “Good vs. Not-So-Good Amish Friendship Bread Starter.” If you have to throw your starter out, you can find our recipe for Amish Friendship Bread Starter here! I have a question. I use to make this bread many years ago, but let my starter go. So now I am trying to figure this out. When you take your starter out of fridge after 5 days do you take the cup out then to make your bread with or after you feed it and it sits out for 8 hours? I thought it was after you fed it and it sat out before you put it back in the fridge for 5 more days. After five days, you remove the starter from the fridge. Stir and remove one cup. You can bake with this cup and discard the rest. 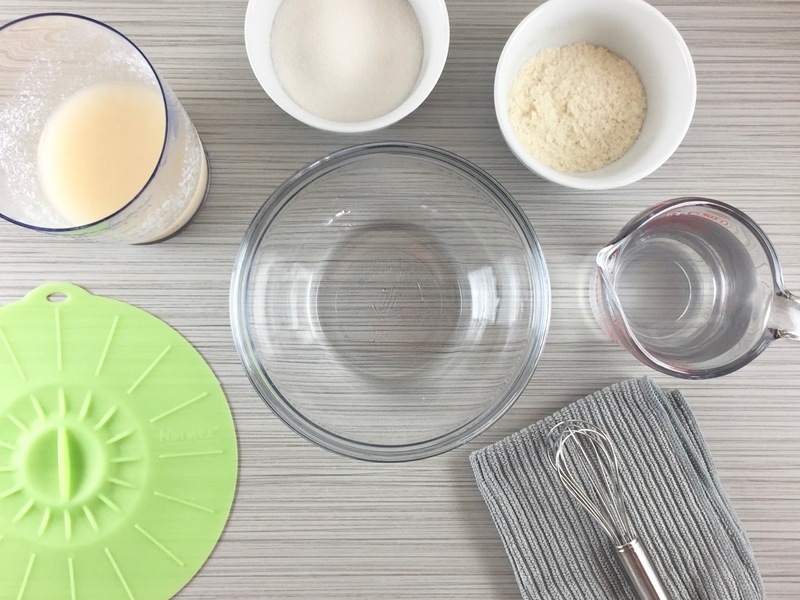 If you want to keep the starter going, remove one cup to bake with, discard all BUT one cup and feed that one cup. Let it sit out for eight hours and then pop it back in the fridge. This keeps your starter robust. I have heard of people doing it the way you mentioned as well (the idea there being that you’re feeding the starter before you use it) — I think that would work so long as when you feed the starter, you’re only feeding 1-2 cups of the starter and not the whole batch since you’ll be discarding a portion. Discarding a portion helps keep the starter healthy. Let me know if this helps! Would love to hear what you end up doing! I will keep you posted on how it goes. I think I will try it both ways and see which works best. After I started my starter and fed it after 2 days my memory somewhat came back to me on my previous starter. I did always use one cup starter for the dough after feeding it and letting it sit out for 8 hours. So we shall see. So I made the bread both ways and definitely prefer the taste of the bread using the starter after you feed it and let it sit out for 8 hours. Has less of a fermented flavor. Also I only use 5 cups of flour the first round before it rises the first time. Then when I punch the dough and I knead in a little more flour at that time and make into loaves and let rise the 2nd time. Makes the dough rise better and more fluffy not so heavy! I remember making that change when I use to make the bread before. Hi Vicky – this is my first time making this type of recipe and I’d like to try it the way you’re describing. To be clear, you take the starter out of the fridge and feed TWO cups of it and let it sit 8 hours and then take out your one cup for the bread and then refrigerate the remainder? Amy – you will only have one cup of starter that you feed. Once you feed it you will have 2 cups. After it sits out for 8 hours you take out 1 cup to make the bread with and put another cup back in the fridge for the next time pour out the rest. Does that make sense? It is really good bread. Let me know if you have any more questions. Do you stir starter daily on the days it’s in the fridge? I have starter that was made and maintained as required then after the last feeding on 11/20/18 I got real busy and didn’t feed the potato starter. It doesn’t smell bad but I need to know if I can salvage what I have or should I start over? Can this starter be used to make bread with a bread machine? Hi Susan! I haven’t tried it with a bread machine yet, but it worked with the traditional AFB recipe. You’ll have to experiment with the potato flake version, especially as bread machines have different settings. Good luck! Can I use whole wheat flour instead of white bread flour with this starter recipe? Hi Sher! I haven’t tried it so I can’t say, especially for the potato flake variation. I know people have done it for the traditional Amish Friendship Bread version. Sorry I can’t be more helpful, but keep me posted — I’m sure others might be interested in what happens as well. i used to make this bread many years ago. I recently acquired a new starter from a lady to try making again. The starter seems fine but the two times I have attempted the bread, the dough does not rise. Can anyone advise what I may be doing wrong? Should I try adding some yeast to the starter? Hi Sherrie! Starters are so finicky, and in these cooler months, it’s sometimes hard to keep a starter thriving. 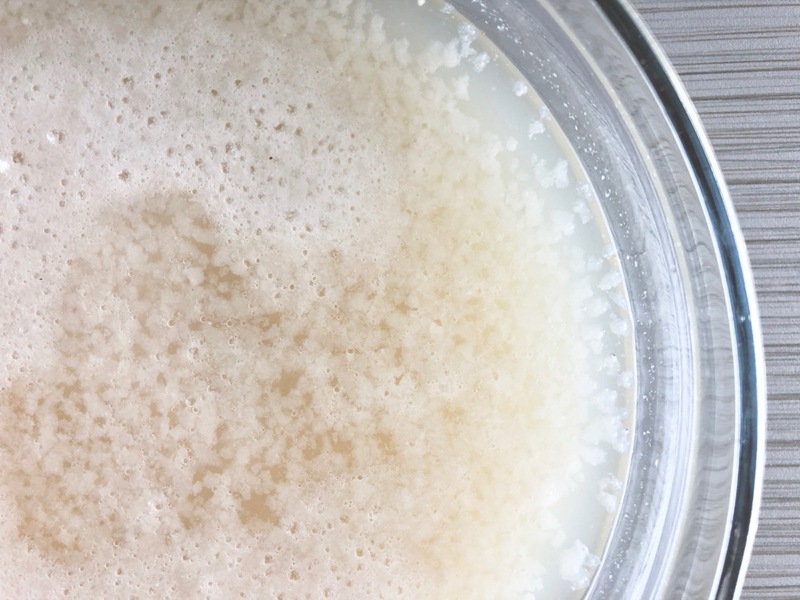 If you’re not seeing bubbles or any kind of activity, you can give it a boost with some commercial yeast in the recipe. Maybe check with the person who gave you the starter and see what recipe she uses for bread–whenever you inherit a stater, you want to make sure it’s a hardy starter before you invest too much time and energy in maintaining and feeding it. Keep us posted! why do you discard starter after you remove a cup to bake and a cup to feed? can’t you use the part you’re saying to discard to make more loaves? I just hate waste and hoped it can be used. Hi Jean! You don’t have to throw it all away. 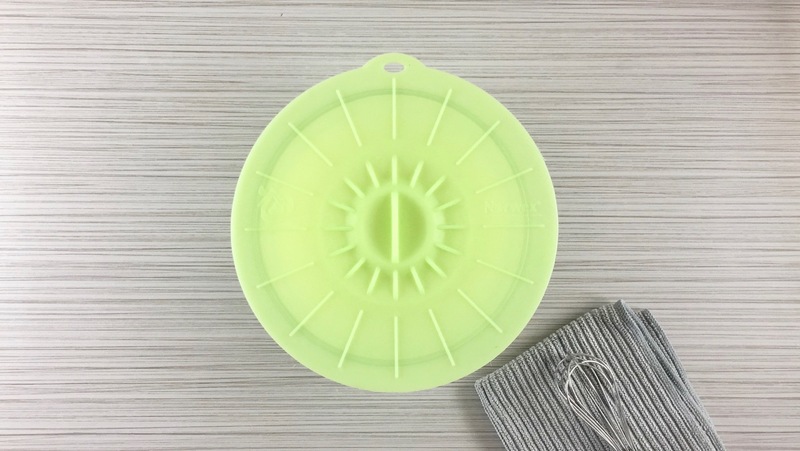 You can also separate it into one cup measures in separate Ziplocs or containers and give them away to friends or family. (You can also keep it, feed it, and bake with it, if you want!) Sometimes, when measuring out the different portions, there is a little left over, and you might have to throw that away because it is too little to bake with. Hope this helps! I am so glad I found your site. I had been making potato flake sourdough bread for years. Everyone loves it, the first time I made it was back in the eighties. After making it for a long time my starter went bad from neglect and I had to throw it away. Around 4 years ago my kids started talking about how they remembered how good the sourdough bead was that I used to make.The recipe I had written down was so old I couldn’t make out same of the instructions. It took some time, but I found a recipe and started making it again. The bread is so good, it doesn’t last long in my house. Since I found your website, I made the starter with the milk and flour and made plain bread and chocolate bread, they were good, but to me they still weren’t as good as the potato flake sourdough bread. When I made the chocolate bread, the taste of the starter was way to strong to me. So I’ll stick with my potato flake one. I am going to try this version of the starter to see how it is. My son that lives in CO started one at the same time I did, but his called for him to do the process for 15 days. So on the 15th day he was ready to make the bread and was really looking forward to how it was going to taste. The recipe he followed was the type that calls for eggs and stuff, but no rising ingredients and didn’t say to let it sit until it has rises. So needless to say, when he pulled it out of the oven it was still flat and they couldn’t eat it. I think some people need to be more clear when they are writing recipes. Throughout my life time of cooking I have run across recipes that you can’t even follow, because they have left out some steps or ingredients. Tomorrow will be time to try baking with it again, this time using a different recipe. Hope it turns out better next time, if not ,I will just stick with my good old potato flake bread.